Getting lost in an acronym soup, companies long for a simple, integrated, manufacturing specific solution. If all of the letters and acronyms associated with software systems have you confused, don’t worry, you are not alone. 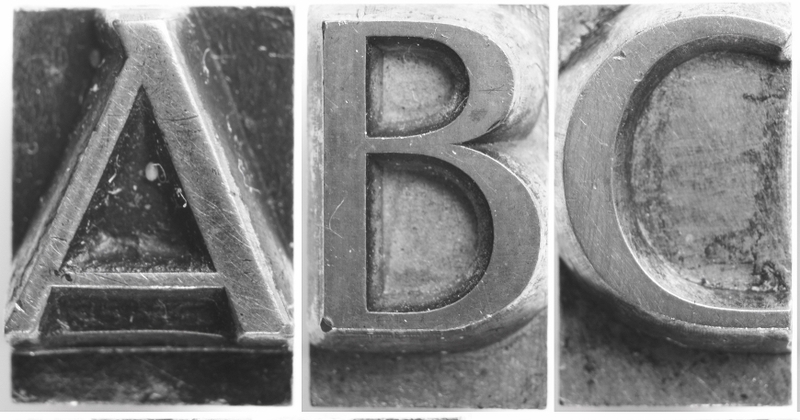 More readers than would like to admit are wondering what the heck (WTH) all these letters mean and which combination of them will run their manufacturing business smoothly. Like you, they do not want to buy more letters than they need. They do not want to wind up with a complicated system that requires teams of people to implement or maintain. Many wonder about the difference between MRP and ERP. Some consider texting their teenage daughter on her cell phone to see if she can decipher, (her answer is IDK). They get lost trying to figure out which one has a BOM or if either has POS. They wonder if their management should be activity or order based and why both of those acronyms start with A. They worry that once they choose an acronym and get it to work with their existing software, a new version will come along and they will have to start all over. Ultimately, all are lost in the alphabet soup and long to find production-optimizing tools. When it comes to manufacturing there is usually an “MR” or an “ER” in front of the P for planning. The P really does all of the work. Many think that MRP is for Manufacturing and ERP for Engineering. This is a misconception. Material Requirements Planning (MRP) and, more confusingly, Manufacturing Resource Planning (MRP II) were both designed in the 1960’s and are today known in combination as “MRP.” MRP is a planning tool centered on material. The concept is to meet demand without having excess parts in inventory through effective material and resource planning. The acronym BOM for Bill of Material was introduced through MRP as different ways of organizing parts for manufacturing were implemented. Jobs were organized into Routers and Labor was recorded on Tickets. As computers became less expensive, and more common for businesses, the limitations of running a manufacturing business around material alone became evident. Additional systems for planning a company’s other requirements became necessary and had to be purchased independently, and then integrated with data from an MRP package. Maintaining all of these dissimilar systems together became very complicated. In response, an extension of MRP, Enterprise Resource Planning (ERP) was introduced in the 1990’s. ERP combined a business’s core planning functions in one enterprise solution. These functions could potentially include all MRP, as well as Sales, Financials, Delivery, Human Resources and Customer Relationship Management (CRM). In many ways ERP became the new MRP. Of course, because there was an MRP and then MRP II you would probably guess that there would be an ERP II and you would be right. ERP II simply refers to the imagined next generation of ERP which has the potential to be web based. As ERP packages, by design, address core business needs, they became important to any company with a product and supply chain. A cereal maker, for instance, would need ERP as much as a gasket manufacturer. Designers of ERP systems found that keeping their software generalized broadened their market. Most created base packages for sale to all businesses with modules and customizations for specific segments and business needs. Manufacturers then needed to weigh the tradeoffs between buying an MRP package with a clear manufacturing purpose and integrating it to other business tools - or buying an ERP package and customizing it to their manufacturing needs. It became unclear which path Fabricators and Manufacturers should take for a manufacturing-friendly tool with low total cost of ownership (TCO). Ultimately, the decision comes down to what a business can afford. Most ERP systems are amazing tools worth every penny and come with smart people who know both their software and the business they are customizing the software for. From the minute you call an ERP vendor they will start to categorize your business. They will ask what vertical you are in and how many employees you have. Their intentions are good; they only want to explain that using Oracle at your 50-person company would be like trying to swat a fly with a nuclear weapon. But the process can be daunting for consumers, especially manufacturers facing 46 acronyms (known by this author) for the process of turning raw materials into a finished part. A Tier system in place for ERP helps. Companies employing 2,000 or more employees are in Tier 1 where giant acronyms like SAP and Oracle are leaders. In Tier 2, companies with up to 2,000 employees use BaaN, JDE, Syteline and MAPICS. In Tier 3, with up to 1,000 employees there is Syspro and M2M. Tier 4 solutions are considered basic accounting systems that rely heavily on the use of business software like Microsoft Excel and Word. Raise your hand if you have fewer than 1,000 employees, manufacture something and are frustrated there is not a solution for you that does more than accounting! Don’t worry, a new Tier is emerging and because of your size, implementation is easier than ever before. Common across all tiers is another problem for manufacturers. Their Computer Aided Designs (CAD) and Computer Aided Manufacturing (CAM) data, which carries with it critical information such as revisions, time calculations, costs, and machining, does not communicate with most MRP or ERP systems. This makes it difficult, if not impossible, to ensure process related data is accurate, such as labor, time and material - the real cost of making a part. Not including these critical manufacturing applications within ERP, or at a minimum the data these applications carry, makes all the planning you can afford theoretical as the real constraints of manufacturing are not factored. Having a system that will integrate CAD, CAM, Nesting and ERP makes identifying bottlenecks, job status, material utilization, labor costs and inventory possible and better yet, cost effective for manufacturers. It includes the real constraints of manufacturing, from real data, in the planning. Good acronyms, such as ROI (Return on Investment) and low TCO (total cost of ownership) spring to life when a manufacturing-centered ERP application, fully integrated with CAD, CAM, Nesting, machines and processes, is implemented in a manufacturing shop. ERP for sheet metal manufacturing addresses the exact needs of Fabricators and Manufacturers. Smaller companies are able to simply implement a total manufacturing solution (let’s call it TMS and start a new acronym) that integrates CAD, CAM, Nesting, Financials, Warehouse Tracking, Sales, Jobs, Human Resources, and best yet, the Web in a single ERP system. Large companies can use the friendly, manufacturing-oriented, web interface over their larger back office ERP system. This generation of ERP is available from Lantek Sheet Metal Solutions with Integra: the first web-enabled ERP system that includes a CAD, CAM and Nesting system with manufacturing control systems, inventory, sales, job tracking, warehouses, shipments, stock management, customer management, quoting and more. Integra covers most of the acronyms and easily connects with existing systems. Integra is a solution for manufacturers in Tiers 1 through 99 but the Tier that will benefit the most from Integra is Tier 4 where an accounting package, spreadsheet and human resources are the planning and tracking source for the business. Low TCO and high ROI make the benefits of ERP possible for this Tier for the first time. Integra’s manufacturing-centered solution can be accessed from the machine control and a web enabled mobile phone, making it possible for small businesses to compete for large and critical orders while knowing their real costs. Finally, ERP is as easy as ABC. Lantek Sheet Metal Solutions unveiled Lantek Integra on February 1st. The demand for the integrated solution, a true evolution from MRP to ERP II, is already overwhelming. Lantek’s commitment to keep it simple includes expert services, innovative time savers (such as sending the customer the software pre-loaded on a customer-specified server) and training geared at making the customer self-sufficient. 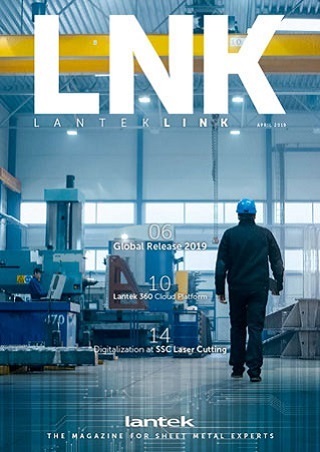 Lantek Sheet Metal Solutions is the world’s largest provider of integrated CAD, CAM, Nesting, ERP and Automation solutions and is chosen by more customers and machine manufacturers worldwide than any other product. Lantek is headquartered in Vitoria-Gasteiz Spain with branch offices in the USA, Germany, Argentina, Italy, Brazil, Great Britain, China, South Korea, France, Japan, India, Poland, Mexico, Turkey and Czech Republic. Lantek is supported by a wide distribution network all over the world.